The media center is the ultimate living room experience; one PC to play everything, one PC to find and download, and one PC to bring in all the family and bind them in front of a glowing widescreen TV. And if you didn’t get that reference, you ought to watch more movies. But with a few hacks, your humble media center can do so much more. Let’s take a look at 10 ways to supercharge your media center experience. Personally, I think old games are overrated, but if you’re itching for some finger twitching and you run Xbox Media Center, check out the Rom Launcher plugin, which you’ll find under the Programs add-ons menu. Justin first showed us this back in January, and it’s superb – along with the other 4 XBMC plugins which you really ought to go check out right now 5 Amazing Add-Ons for the XBMC Media Center 5 Amazing Add-Ons for the XBMC Media Center Make XBMC even better by adding these amazing add-ons. Whether you're into TV, sports or gaming, these plugins will help you get the most out of your television. Last time, I lamented the end of... Read More . Integrating nicely with XBMC, SickBeard will seek out new episode of your favorite show, download from your specified NZB source and USENET The How-To Guide On Getting Started With Usenet The How-To Guide On Getting Started With Usenet Usenet is one of the Internet’s oldest methods of communication. It also happens to be a tried-and-tested method of sharing files, thanks to binary transfers which allow programs, videos and other files to be encoded... Read More provider, then add them to your library with all the right metadata added. While we don’t condone piracy, if you were the type of person who enjoys watching the latest shows for free, this is a tool you would probably want. I don’t think Americans quite realize how privileged they are when it comes to access to media; everyone else in the world, we get shafted. However, if you’re a Netflix subscriber in the UK, or anywhere else for that matter, you can quite easily gain access to the vast US selection – and to Hulu and other regional services – by using a simple bit of DNS hackery. Tunlr Use Tunlr to Enjoy Streaming Services Anywhere in the World Use Tunlr to Enjoy Streaming Services Anywhere in the World While American internet users can quite happily watch Hulu, the fact that I live in the UK means I can't. Likewise, BBC iPlayer is free for UK citizens; but if your physical location says America... Read More is a free service but no guarantees are made and Netflix isn’t supported, but on the paid side, I’ve found UnoTelly Bypass Regional Locks with UnoDNS from UnoTelly [Giveaway] Bypass Regional Locks with UnoDNS from UnoTelly [Giveaway] >Are you frustrated by the international blocks that stop you from watching Hulu? 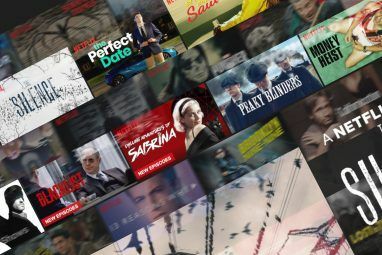 Are you a UK Netflix user, annoyed that the American selection of movies and TV shows is orders of magnitude larger than... Read More to be very reliable for under $10 a month. Unlike a full VPN How To: Setup A Premium VPN Service For The Ultimate In Online Security [Windows] How To: Setup A Premium VPN Service For The Ultimate In Online Security [Windows] The online world is fast becoming a dangerous place. A premium VPN service is a small price to pay for the ultimate in online security, allowing you to both download what you wish and avoid... Read More which tunnels all your traffic through another country, UnoTelly and other DNS hacks only redirect the packets of information pertaining to your location when viewing regional locked services – there is no slowdown in internet speed and you’re able to watch in full HD if your connection is fast enough. If you have one of those awesome universal remotes and some kind of IR reader for your PC, you can set it up to control your media center using LIRC or the WinLIRC port for windows. It’s a pretty complicated setup though, so head on over to the project page for instructions and supported devices. A far easier option is to use your iPad or Android device as a remote control for either Plex or XBMC. The Plex client (iOS, Android) is far more polished in my opinion (pictured above), but it also costs $4.99; the official XBMC remote (iOS, Android) is free (pictured below). Did you know a $35 Raspberry Pi can run XBMC? 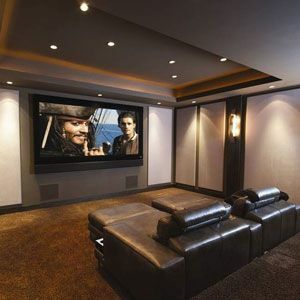 Indeed it can Entertainment On The Cheap: The Most Affordable Ways To Set Up A Home Theater Entertainment On The Cheap: The Most Affordable Ways To Set Up A Home Theater While plenty of pricey pre-built solutions exist, there are a few ways to bring a streaming box of entertainment to your living room on the cheap. With the right some open source media software, a... Read More , and with the size of those things you could even bolt in it on the back of your TV! No more ugly great tower or desktop PCs. 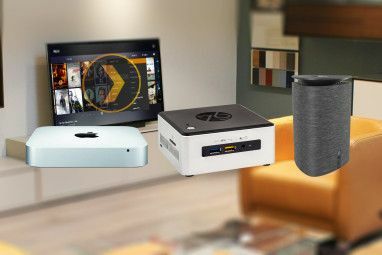 Alternatively, what about hiding your existing bulky hardware into furniture, or swapping out your ugly tower case for a sleep HTPC case that makes it look like just another bit of AV kit? Don’t forget check on motherboard sizes though – many HTPC cases will only accept Micro ATX. Okay, not exactly a hack as such, but projectors are seriously underrated bits of kit; yes, they can be difficult to view in the daytime, but who watches TV or movies in the day anyway? You ought to be outside! Nothing beats the cost effectiveness and big screen cinema-like experience of a projector, added to which their portability lends itself to impromptu garden movie screenings in the summer and hilarious Halloween effects 6 Awesome Bits Of Technology For Your Perfect Halloween Party 6 Awesome Bits Of Technology For Your Perfect Halloween Party Over the years I've organised some pretty awesome parties and even entire summer camps. I like to think I know how to throw a cool party, and technology always plays a part of that. Here's... Read More . You can get an HD 3D projector for as little as $450 on Amazon, capable of projecting a far bigger image than you could ever afford from a TV at that price – all you need add is a blank white wall. Neither XBMC nor Plex handle TV recording, though they’re the best solutions for playing your downloaded or ripped media. If you do want to record TV, you’ll need a separate package such Windows Media Center The Best PVR: Windows Media Center! The Best PVR: Windows Media Center! Despite the perceived image of Microsoft as a lumbering beast with bloated software that ships full of bugs, they have actually produced some fine software over the years. Today I’d like to highlight Windows Media... Read More (not included with Windows 8 but currently free for Windows 8 Pro owners), or Linux users can check out Myth TV 5 Great Linux Media Center Distributions To Transform Your TV 5 Great Linux Media Center Distributions To Transform Your TV Read More . Personally, I just phoned up my cable ISP, added TV services, got a free 500gb TiVo box, and am now paying £10 less per month than I was before. I rarely watch TV to be honest, so having a separate bit of software on the media center and the hassle involved with setting it up versus simply adding it to my cable internet package was an easy decision to make. You’ve also got a lot more considerations when it comes it comes to signal format in the UK; the analogue signal has now been completely switched off – rendering a lot of TV cards useless – while newer devices can sometimes only record HD channels from FreeSAT signal and not over the air digital broadcasts – it’s a mess, basically. If you have Plex, the good news is that you can already resume playing your media from any Plex client you own; since media is served from one central location, there’s not additional setup and everything is happy in the world. Sadly, XBMC isn’t quite as easy since it’s designed to only really play local media. 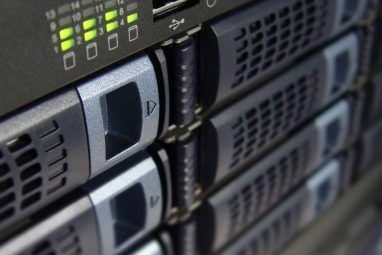 You’ll need to install MySQL in order to setup a shared database of your media, and get more familiar than most of us like with the command line. If you absolutely must run XBMC clients but love the networked capabilities of Plex, consider the PleXBMC plugin, which is also capable of resuming playback from the last know position, though isn’t quite as nicely integrated. Watch the video, and try to tell me that’s not the most awesome ambient lighting setup, ever. Though this video is from a Russian-only device, similar project files and software are available for Arduino. The only downside is that it’ll work with anything from your PC, but not raw TV signals or your Xbox 360. Here’s a simple 1 channel project that averages the colour of the whole display, while this is a more complicated setup that gives you about 8 channels (potentially more) for a multicolor backlight. Got any more media center hacks? Tell the world comments below. If you’re just starting out on the path to media centre bliss, be sure to check our free PDF guide. Explore more about: Hulu, Media Player, Media Server, Netflix, Television, XBMC Kodi. Thanks Jeff, looks like em-dashes are causing headaches again. Here's the correct link: //www.makeuseof.com/pages/download-watch-the-web-awesome-media-center-guide-2011 - I think. I'll have an editor deal with that, thanks. Bookmarking this. Thanks for this great article. yeah sure, old games are overrated. the newer ones are thaaaaaat much better and innovative!!!!!! They're not a constant rehash of the same genres. So I have been using the xbmc official remote for android for the entire year and a half I have been using xbmc and its great. From its simple setup and layout to the ability to easily look through your movies it did a great job. Over time you can find a few annoying things you just wish they would add and so far they haven't done much in a while. So after trying out a slew of other remotes I came across one called Yatse for android and have been very impressed with what it has to offer. It has a similar layout like the official one including an option for the remote and the ability to look at all your movies and tv shows in a flashy view. The additions that sold me to continue using this over the official one was the ability to turn subtitles on or off from the remote, the ability to turn on/off random play for music which is basically shuffling, and also being able to lookup files in directories including music playlists. They also have widgets for this application to put it directly on your home screen which was an added bonus. Anyone looking for a little more functionality should check out Yatse. Great article :P Gonna use this and the 4 plugins linked in the article ! That TV setup is freaking epic.